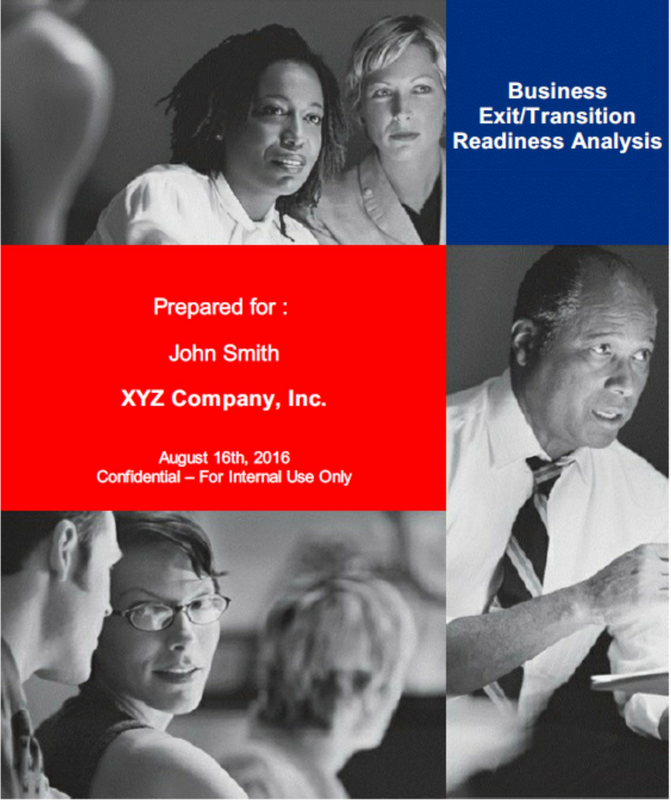 How ready are you to exit or transition your business? 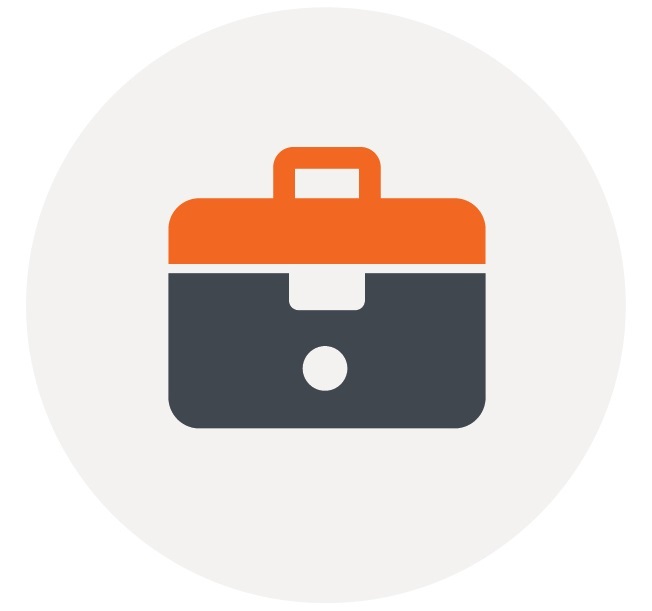 For most business owners, their business is their most valuable asset. The majority of owners will rely on the transaction/transition of their business, to financially support the next phase in their lives, whether it be retirement, reinvestment, charity, family legacies, etc., not to mentioned the need to live a fulfilling active life. It is time now, to take the first step toward creating that future by understanding your current readiness for transition, and to determine what is needed to make that future a reality. Our ‘Are You Ready’ Assessment should take about 15 minutes to complete (32 questions), and this will provide you with an immediate and FREE personalized Exit/Transition Readiness Scorecard. The questions were designed to evaluate 14 key elements that we found to be critical to both your personal and business’ readiness, for your ultimate exit or transition from the business. We hope this Scorecard serves as your first step towards planning and implementing your own successful transition or exit from the business. If you desire additional consultation, we invite you to contact one of our Exit & Transition Advisors in order to discuss your particular circumstances in more detail, as well as to order your personalized, in-depth, Business Exit/Transition Readiness Analysis Report. This complete Report, is based on the same 14 key areas as the Scorecard, but provides much more detail on each of the areas including: defining your personal and financial objectives, discovering what’s important to you and your family, preparing your business, monetizing it to fund your objectives, and finally, the necessary ACTION ITEMS you can follow to better prepare yourself for the exit or transition from your business. 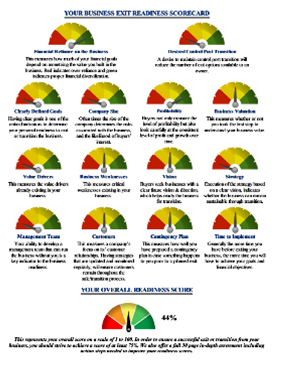 For samples of the Scorecard and Report, please click on the linked images to the right, and feel free to contact us with any questions at 1-844-BIZEXIT. Enter any username and password1.